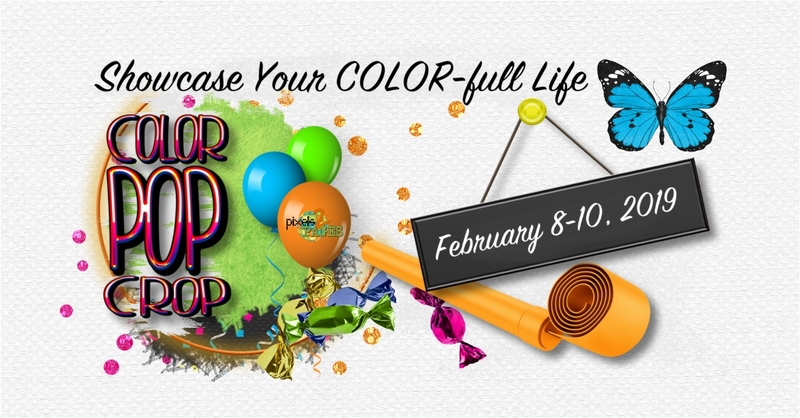 Color Pop Crop Featured Designers #3 News: p2P Week of Love is here. 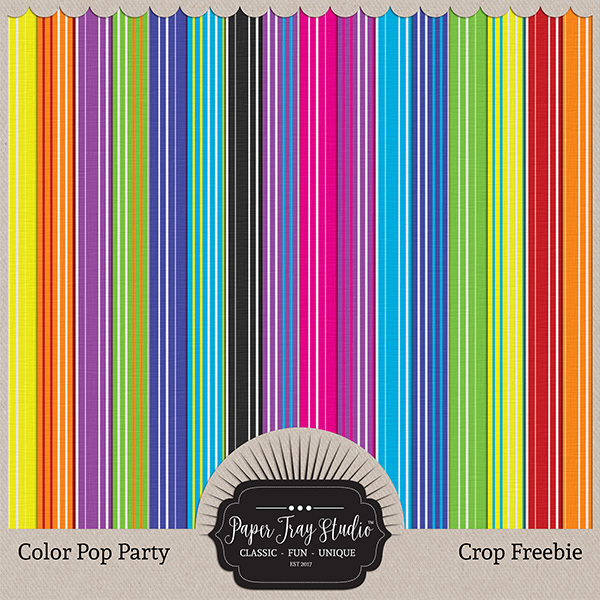 Thank you for participating in our Color Pop Crop. We hope you have enjoyed your time and that you have gotten lots of pages completed! Everyday pixels2Pages is here to help you showcase your color-full life. We hope that you will continue to share your creations to inspire others and add a bit of color to their lives. Your feedback is important to us. Not only is your feedback valued, it is necessary for us to provide you with the best possible experience. We use your feedback to determine what offerings stay, what offerings go, and what offerings change. Please take a moment to let us know what you thought of this crop. CLICK HERE to access our survey. Everyone who submits feedback will be entered into a drawing for a free digital art kit. Two lucky winners will be chosen and announced on February 15, 2018. You have received lots of bonus content during this crop, but a little extra reward for your active participation in the crop can’t hurt. How many badges were you able to collect during the crop? 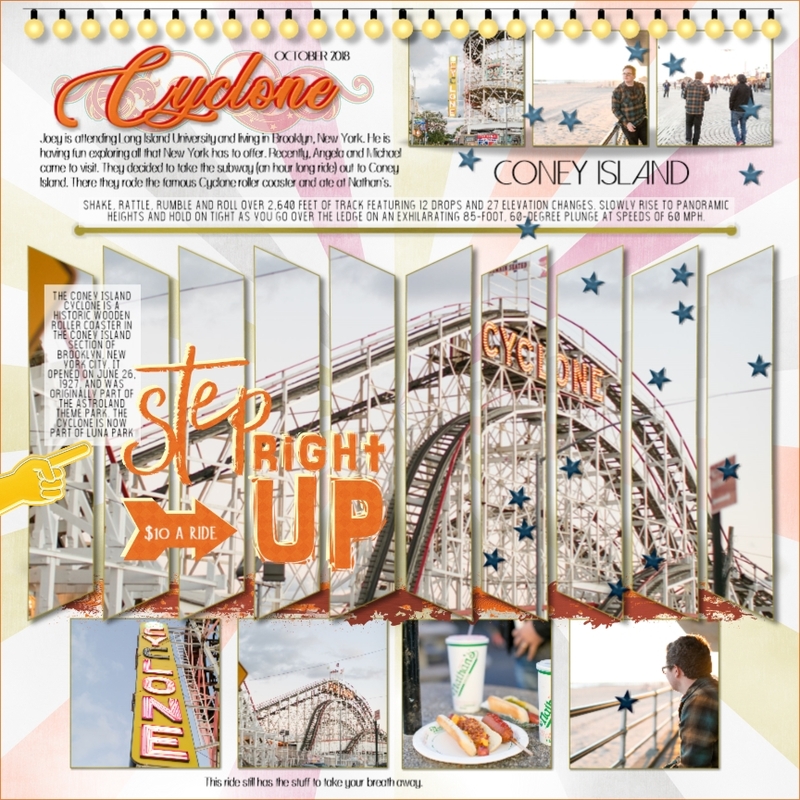 If you have earned 20 or more badges, post your badge page to the pixels2Pages™ Community Group and you will receive the Cyclone Blueprint designed by Kim Mannino in both 12×12 and 11×8.5 sizes. If you would prefer not to create a badge page, you may add all of your badges to a FOREVER Album and share a link to it in the pixels2Pages Community. Remember, as detailed in the welcome post, there is a new badge page/album submission process. CLICK HERE for details on sharing your badge page. Bonus Blueprints will be sent out once per day at the end of the day starting February 11, 2019 and ending February 15, 2019. Download links will be delivered to the email address you provide when you submit your badge page. CLICK HERE to add your badge page to our FOREVER™ Collaborative Album. Remember, if you are not a pixels2Pages™ member, now is a good time to join. Join pixels2Pages by the end of the day February 13, 2019 with a yearly membership and you will receive a $30 coupon code to be used on any pixels2Pages branded digital art kits. You will also gain access to all of the member-only crop freebies distributed during this crop. Finally, we want you to know how appreciated and valued you are. Here is another special kit, courtesy of Templates and Co. This kit is available for members and non-members. Click the image below to access your kit. We also want to thank our members for their continued support. Please accept this member-only gift from Paper Tray Studio. to show our appreciation. Make sure you are logged in to your pixels2Pages Membership before clicking the image below. Happy Cropping! CLICK HERE to collect badges for using these kits. Let me have a look, Jennie. There is sometimes a glitch when former members buy new memberships. We will get back to you. Thank you for all the freebies and video’s and tips` I can not wait to start using them. I need to first purchase a lap top and then hire a Pixies. Thank You for all your hard work. hahaha – love your priorities! Enjoy and post your pages! We don’t have a hashtag for those. Next time when they are named differently, we will be able to hashtag them. Just use the crop hashtag. When is the badge page due? Midnight Friday night, 15 February 2019. Thanks – we changed it! Good eye! What day will the winner be drawn? Last October? 15 February 19 – we have corrected it. Thanks. Thanks for another gift to end this awesome crop! I hesitated to join the crop thinking there was no way I could keep up but I did ok, not great but ok! Love and appreciate all the free BP and content! So glad you joined us and got things done!